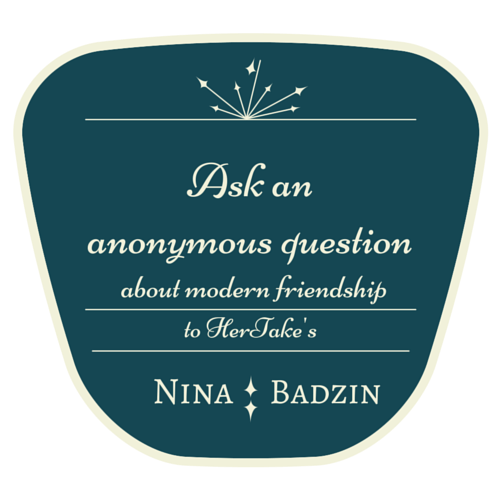 Today’s question comes from a writer who feels that friends and acquaintances who ask for “quick” editing help for their writing projects or their teens’ college essays, for example, are taking advantage of her friendship. We bet that readers from many professions can relate. Do you have a question for Nina? Use our anonymous form. You can read Nina’s answers to past questions here. I am a writer with print and online credits and a blog. However, I think my question applies to lawyers, doctors, nutritionists, physical trainers, or really anyone with a business that relies on expertise. Let me start by saying that I consider myself a generous and attentive friend, but I am struggling to know where the line is between allowing myself to be taken advantage of and helping my friends. Here’s the situation: Friends and acquaintances often ask me to “take a look at” (in other words, help with) their writing or their kids’ writing. I’m talking about college admission essays, special occasion speeches, blog posts, articles, or even basic emails. I also have acquaintances who want to get into the publishing business, perhaps as a blogger, who send me their essays to read, ask for detailed feedback and sometimes for the names of the magazine and site editors I’ve worked with in the past. Sometimes it truly is a just quick read and I’m happy to help. Other times, the editing or publishing advice requires much more of my time and energy than I am comfortable giving, but I have a hard time saying no. I don’t want to resent my friends, but I don’t feel comfortable asking for some kind of payment, especially since I’ve never set up an official editing business. Do you think it’s okay to charge my friends/acquaintances for this type of help even though I do not run an editing business and do not necessarily want to run an editing business? I’m not sure how I can explain to a friend that at some point as I’m helping her kid with a college admissions essay, for example, that I’d want to be compensated for my time. As an aside, I have a few “go-to” writers who edit my work every now and then, but it is almost always reciprocated eventually. I look over their work, they look over mine. It’s an unspoken, equal arrangement. I am referring to something different with these other requests. My main question is this: What is the best way to let a friend know that she (or he) has crossed a line from asking for a quick favor to taking advantage of me? Thank you for this question! I have the same problem, but receiving your question really pushed me to think more about how I want to handle these writing/editing favors in the future. People ask me for the same sort of help you’ve described: “the quick looks” that include emails back and forth for days even when I think I’ve said all there is to say; the college admissions essays that I don’t feel quite right about helping with anyway; the publishing and blogging advice; and in my case, advice about Twitter and other detailed social media questions. I don’t mind giving a quick read and an overall opinion or a quick look at a site or a Twitter feed, but when it starts getting to the paragraph-by-paragraph questions or more involved strategy questions (for social media or blogging), then I feel like I’m spending time that could and should be billable, or spent on my own work, or not spent on my computer. To tell you the truth, I had a hard time even writing the previous paragraph because, like you, I consider myself a generous and helpful friend. Also like you, I’m not particularly interested in starting a business nor am I all that good at saying no. Alas, you and I have the same questions. How do we charge our friends and acquaintances if we weren’t intending to run a business? But, how do we not charge them if we want to help without resenting the time we’re spending? Since I’ve had little success solving this issue before now, I asked a version of your question on Facebook. Several writers chimed in to say they have the same problem. It’s no surprise that the most solution-oriented answer came from a friend who is not a writer! My friend Steven said: As a lawyer I am somewhat familiar with the situation of being asked for advice. One thing that I think helps is knowing what you and/or your time is worth (and having it written down). That way, when someone asks you for help, rather than saying, I’ll think about it,” you can say, “I’d be happy to help, I typically charge $50 per hour or $100 for a project, so let me know what you think would be in your budget.” Even if you end up charging a lot less, or nothing, it sends a powerful message that you are doing more than a favor. Steven also suggested the following as another possible response to a request for help: “My hourly rate, is over $150 per hour. For a friend I’m always happy to give you the first hour or two of my time, but after that I really need to charge.” Again, this creates a much better dynamic between the professional and the potential client. Another thing often done in billing is to charge the full amount, but then give discounts. This again reflects the true value of the service you’re providing. A professional writer and editor I know, Hila Ratzabi, also said something that felt right and showed how taking ourselves seriously and valuing our expertise and time is the first step. Hila said, “Friends who respect my work insist on paying.” I suspect that Hila respected herself and her time before she expected anyone else to do the same. I think Hila’s and Steven’s responses go hand-in-hand. A related story: one writer friend (who is also a lawyer) is the only one who has ever insisted on paying me for my editing time. 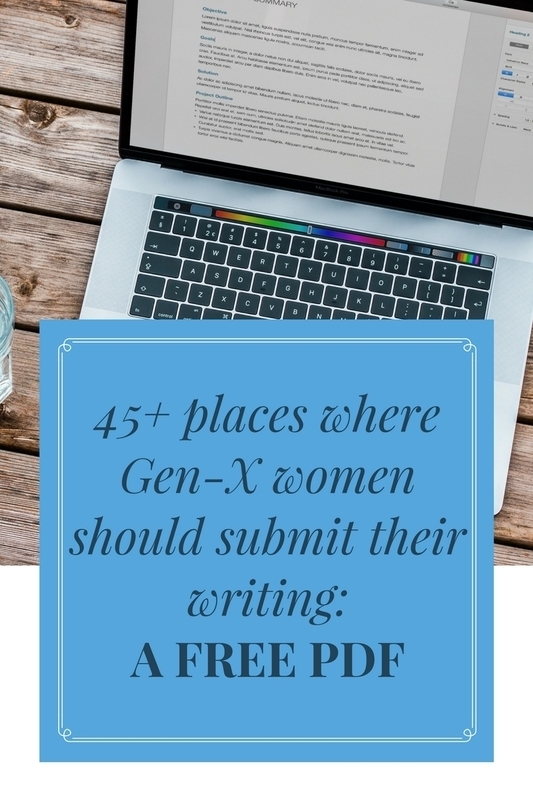 We set up a structure for her to pre-pay for a few hours, which made her feel more comfortable emailing with revisions and questions and cover letters. My level of help to her was significantly better and more helpful than my free “quick looks” that I did as favors. She encouraged me to make a page on my site to advertise my services, but I was nervous that I’d end up doing more editing than writing. Your question, however, reminded me that having that information organized and written down is important, even if I just take on a few clients a year. Your Friend, Not Your Free Editor, I’m giving us both an assignment. Recognize the monetary value of our time and experience. We must recognize that the years we have spent writing, editing, blogging, and getting our work published is worth something. To echo Steven, it is more than a little favor when a friend asks for that expertise for free. Pricing! While it might be hard to put a number on our experience and time, we can certainly research what is standard in the freelance editing and social media consulting world and charge accordingly. (I’ve seen anything from $50-200/hour.) I liked Steven’s idea of giving discounts or giving away the first hour, but making it clear what our time is worth. Write it all down! We need to create a one-page document that lists our services and our rates (on mine, I would also include the social media piece). That document can exist on our sites or simply on our desktops to forward to anyone who inquires. I don’t think that creating this document or sharing it means we are now editors by trade instead of writers. It’s simply a logical solution to a problem. Also, the extra cash would be nice! Learn to say no! If we absolutely do not feel like we can charge our friends, then we both need to get better at saying no to the request in the first place. Easier said than done, I know. Good luck to you! And to me! I know there are readers out there who can commiserate or can tell us how they solved this problem. Please let us know in the comments. Oh this is perfect! I’m constantly asked, “Would you mind writing this for me?”One “friend” (really an acquaintance) simply will not take no for an answer. Not kidding. She’s always asking me to write press releases for her charity, three or four times each year, and I know there’s and underlying message, “it’s for charity.” I’ve obliged quite a bit, but don’t want to do it anymore. She has a business (separate from the charity), but I’m never offered any kind of reciprocal service/product. I’m now actively avoiding her and her business (of which I was a frequent patron). Oh that’s a hard one! For press releases I simply say (and it’s true by the way), “I don’t write press releases.” I never have and I really don’t intend to start! I’ve been teaching myself that the briefest answer is the best, and it seems to work. For Allie’s situation, I wonder if she could just say, “Oh, I’m sorry. But I can’t do it.” And then smile. If the acquaintance keeps pressing, just repeat, “I’m sorry. But I can’t do it.” Good luck! Another idea is to barter. “Sure, I’d love to help with your essay. Would you be willing to watch my kids for a couple hours Friday night in exchange?” That way, you’re getting compensated in kind AND driving home the point that they’re asking you to give up your valuable time. Oooh! That is an interesting idea! I like it. I loved this! I will be sharing this in my FB Group and on my fan page. Great advice Nina! I saw that you did and I really appreciate it! I’m glad that you tackled this question, Nina. It seems to be an issue a lot of us (not just writers and editors) face. For example, I was recently asked to read a manuscript and “advise if it’s good enough to be sent to an agent.” That is a lot of work and no compensation was offered. It’s usually enough to put off all but the most serious inquiries. I really like that idea of stating when you would have time. Even if we want to help, doesn’t mean it has to be that minute. Nina, this is a fantastic question. I saw your call on FB and wanted to chime in, but the truth is, I felt as uncertain as the questioner! I don’t get that many requests, but the few I get now and then have been, on occasion, time consuming and I’ve felt frustrated at times with how to deal if the requests keep coming. I think the advice you culled from lawyers (makes so much sense!) and the challenges you set for yourself and the questioner are on point! Thank you! Glad it helped! I’m in the process of trying to make a page on my site. I don’t plan to push it often or at all– it’s really more for when a request comes. I’m not looking to become a professional editor. This is a fantastic question. It happens to all of us at some point, I’m sure. I am guilty of this myself with family and friends who are nurses, speech therapists, computer “experts”… I feel awkward offering my family money but I am using their time and expertise. As for me, I feel rude (insecure?) asking for money. I absolutely love Steven’s idea: “For a friend I’m always happy to give you the first hour or two of my time, but after that I really need to charge.” That is perfect! I agree- that is a really good response as it still offers help but puts it out there that this is a professional favor of sorts. As usual this is spot-on advice Nina. Our time is valuable and while we want to be good friends-acquaintances who are demanding of our time should be paying for our time. Bravo! As an aside: I STILL get about 1-2 cold emails a month from complete strangers asking for legal advice based on an article I published in 2011. When I was still actively taking clients, I would reply with my hourly rate and that I’d be happy to talk (99% of the time it was crickets and not even a thank you for replying; I would go broke if I did everything pro bono). And then when I stopped representing clients to focus just on writing, I changed my response to state that I am not taking clients at the moment but provided a brief boilerplate of how they can find a suitable lawyer, answer, etc., (more crickets and not even a cursory thank you). So now? I don’t even respond to those cold email requests, AT ALL. Once people realize they would have to pay for my services (or someone else’s), they balked saying they could do it themselves (one woman actually said that she didn’t think she had to pay me because I probably already knew the answer…um, what?!). Could they figure it out themselves? Maybe, but I can assure you that it would not be as thorough as I would have done and am legally bound to do for clients. All this to say that the problem of people wanting your advice won’t likely ever end, particularly if you seem kind/approachable because people will take that to mean you might be willing to do stuff without compensation (most especially if they think the answer is at your fingertips/the process takes only 10 minutes, etc), so you need to make your position clear going forward. Think of it as self-worth/preservation rather than being a meanie (to use a technical term). There is a reason I had to go to law school to be able to hold myself out as being an “expert”, just as years of experience in writing/editing equally holds some cache that people want to tap into. People who have those skills should be proud, and hold themselves out accordingly (as Nina so rightfully points out). VERY interesting on how when you responded with the rate, they didn’t actually want to hire anyone. I don’t think people expect to pay for anything any more. The internet has not been our friend in that regard. And glad you wrote a lot. Your experience as a lawyer, too, is very valuable and pertinent. Excellent advice, Nina! And as your lawyer friend said, it is all about the importance of valuing your own time. I practiced law for many years so the concept of re billable hour came easily to me. I’m now wearing several 2nd act career hats – young adult mental health advisor, college planner and writer – people ask for info/advice an expect it to come free because I am a generous person, a Mom, a friend or all 3. I like to offer a friend/family discount whenever I can. But asking for $$ for personal type services is hard to do – maybe more so for women (we are natural “helpers”) than men? I’m glad you brought that up re: women. It was almost all women on my FB post who could relate and Steven (um, clearly not a woman) is the one who had the most direct advice to share. Then there are the ones who demand freebies at the same time they threaten you if you “steal their ideas.” Those are easy to say no to, anyway. Anne R. Allen recently posted…Your “LOOK INSIDE!” Book Preview: Will it Turn Readers Away or Close the Sale? “I’d love to take you on as a client.” Yup– that would probably put the nail in the coffin. In a good way in this case. Oh, how timely this is! Two separate friends asking for my time/feedback (immediately, wouldn’t you know!). One is a former student of mine, another is a fellow sketch comedy writer. Neither offers compensation, both asking for more feedback than the initial “quick look,” and I’m feeling pulled just finding the time to write my own work! Thank you for helping me work through this issue and providing some strategies! Come back and let us know how you handled this! Your advice is so spot-on. I struggle with this a bit because my photography is a business and I do charge, and get paid, and it’s very time-consuming and hard. Generally if I take photos of an event on my own, I give them to my friends if they or their kids are in them. Of course. If someone asks me to take photos, that’s where it gets hairy. Often if it’s time-consuming, I offer a barter or a friends and family discount. Tamara recently posted…Vacation All I Ever Wanted. So glad you brought up your photography business. I think there must be TONS of issues there with people expecting all of their pictures and wanting to use them all online without paying anything . . . ?? Great advice as always, Nina. This is, indeed, a tough one. Yes, the right thing to do is to pay for these “favors” but that’s a tough conversation to have, especially with close friends. I like the idea of bartering. It somehow seems to be a friendlier way to feel compensated. Fabulous topic. I can relate to it in every which way. A year ago, I was in need of some graphic design services and reached out to a mom at my kid’s elementary school. We are not super close, but we have sons the same age and float around in some of the same circles. I fully expected to pay her and offered to do so, but I have to admit, a tiny part of me thought she’d offer me a discount, but she didn’t! And I have to tell you, I was so impressed by her boldness! It made me see her in a whole different way–instead of the room- Mom I knew her to be, I saw her as a woman with strong boundaries and a respect for her profession. I have also been in the other seat. Relatives ask me for help with cover letters and resumes quite a bit. I have no problem with that and would never dream of saying no or charging them, but that’s because we have a lifelong relationship and they’re good honest people trying to find a job. Neighbors do sometimes ask me to read the essays of their kids applying for college. I don’t enjoy doing that at all, because a couple of them have been awful, and it’s way too time consuming and awkward to return it full of red pen marks. I’ve decided to say no to the college essays for now on. A friend asked me to write her About page recently. I did so for free, but I also asked her for a testimonial and a link to my website on her Facebook page, which she did. I think whenever you are using your time to help benefit the business of another, whether it’s for a friend or relative, you are very justified in asking for something in return. If it were for a charity, I would ask for this same sort of reciprocity at the very least, but at this point, I would probably charge the charity some sort of flat fee, unless I am part of their volunteer planning committee–then I’d do it for free. I’m so glad you told this story about feeling respect for her after the initial surprise. I bet that is true for most people, and if the asker is uncomfortable with paying then hopefully they will drop the request. And good for you for asking for something in return for that favor! What a thoughtful and thorough answer to this dilemma – your crowdsourcing was so interesting, Nina. I read all the replies in your original Facebook call. I haven’t found myself in this situation, but if I do, now I know how to handle it. I love your friend Steven’s advice, because it allows you to comp them some time, yet offers a limit (at your discretion, not the friends). Sometimes, I enjoy giving it away for free, so to speak, because I’m not the kind who has a lot of money to spend on gifts for friends. But that’s really a gift, just like the kind that gets wrapped up in fancy paper with a bow. There’s a budget for how much I can “spend” on it. I like that concept of considering it a gift, which it is! This is a great question! I’m not a writer but in the service industry and get asked for my advise all the time! And mainly…. What I would recommend for them! Thanks, Nina for the advise! And again great question!!! Wish more people could see this!!! It really does apply to so many professions. Boundaries are hard on both sides of the equation. Hard to know when to ask or when the asking is getting out of hand, and hard to say no. Nina recently posted…Twin Cities Writing Studio: Write With Me! Fantastic question and as always, great answer. In the past, like Kristen, friends/family have asked my legal opinion and expected a quick turnaround time on an answer. Although I always keep my legal license active, I hesitate answering complicated questions as I’ve not actively practiced law for some years and I don’t want to commit to a response which isn’t researched thoroughly. I usually refer them to another attorney or let them know it isn’t my area of expertise. My husband also receives a fair amount of questions regarding his medical opinion and it always seems to come at a party, gathering or during his downtime. I think those seeking advice should be cognizant about when they are doing the asking to respect an individual’s time off. You should value your time especially if people are seeking your expertise. Looking forward to seeing your editing page, Nina. I don’t have a specific enough skill set to get asked for help very often, and I’m always careful about not infringing on a friend’s expertise because they are a friend. (At least I hope I’m careful). But I really appreciated reading this so that I can consider both sides of the equation – to double my efforts not to ask too much, and also to respect my time when someone asks me. Now when my work load decreased a little after the great recession, I was more open to helping with occasional resume projects. But I like your lawyer friend’s advice — and the advice of so many others in the comments. We HAVE to value ourselves and our time, which is so precious. If people don’t like that, then they need to seek their freebie requests elsewhere. Great topic; great answer! I think most people can commiserate with this in some way. It’s human nature to ask others for help in the areas that we’re less experienced in, and we always think of the people we know best first. But like any relationship element it can become a problem when it’s not reciprocal. One other thing I’d suggest, which might be obvious, is asking for some sort of roughly equivalent return favor. Writers can swap editing with each other, but if a non-writing friend asks for writing help I don’t see why you can’t say, “Sure! I’d love to. I’ve actually been meaning to ask you if you’d mind helping me… (learn to sail, with my finances, or whatever else they know better than you do).” Of course that only works if your friend has skills or specialties that happen to be helpful to you, but it certainly gets the point across that you’re offering something and sort of naturally reminds them that you should receive something in return. Just a thought. Love the post!